Klimakemp (Climate Camp) is a summer school and camp without leaders, featuring lectures and workshops by experts and activists from all over Europe. The operation and programme of the camp is decided by all of us together. We try to make it sustainable and generate our own renewable energy. Klimakemp is a safe and open space for learning, meeting people, having fun and creating. Besides that, every visitor can join various protests against coal mining and burning. The climate change currently poses the biggest threat for the humankind. If we don’t adopt radical measures quickly, the state of the planet and the life on it will dramatically worsen – in our lifetime. Scientists across the world agree that if the planet’s warming continues with the same speed, we will reach the critical increase in temperature of 1.5° C between 2030 and 2052. To keep the Earth’s future safe, we need to decrease CO2 emissions by approximately a half before 2030. By 2050, we need net-zero carbon emissions. The Czech Republic still operates a fleet of old dirty coal-fired power stations, mostly generating power to be exported abroad. The “Severočeské doly” company is planning to expand mining in the Bílina lignite mine. The “ČEZ” company is going to sell the Počerady coal power station, one of the biggest ones in the country, to coal tycoons Tykač and Dienstl who wish to go ahead with its operation for decades. It is the very same coal tycoons who request exceptions from EU pollution limits so that they could extend the lifespan of the Chvaletice power station. However, no exceptions can be tolerated. Coal power stations need to be closed if we want to avoid disastrous impacts of the climate change. 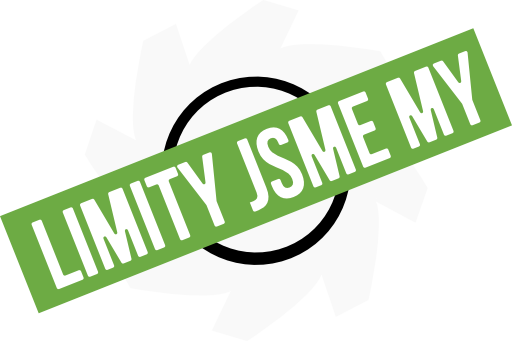 The “Limity jsme my” (“We Are the Limits”) movement is part of global efforts for climate justice and future without dirty fossil fuels, especially coal. Our goals are to end coal mining and burning in Czechia as soon as possible and to ensure a just transition to renewables. Join the growing movement and set limits to the fossil industry! Until the last mine and the last coal power station are closed, we set the limits – we are the limits!